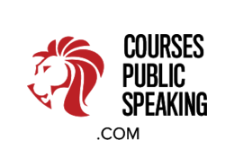 Groups -Public Speaking workshops - Public Speaking - Individuals and Groups. Online (Skype) or In-Person. Dubai, Abu Dhabi & Nearby. (Occasionally). ​These can be for any adults or those aged 13+. You do not have to be an office to arrange these courses -you can also bring your own group, at least five people are needed to make up a group course -maximum 10 people. ​Please see the 'Areas Covered' menu tab for more about the kind of topics covered. 2) Fun Group Games -For Ages 8 to 88! (Schools can also book). ​These can be for adults or children/schools. Obviously groups will be arranged according to approximate age group so you won't have a group of adults mixed with children. During these courses participants learn through doing fun group games. ​Corporate offices can also book these courses, and have a lot of fun -whilst learning a lot indirectly -however these courses are not appropriate for those who want to do a more traditional, serious course! Courses for children and teens are tailored to the age groups/ school years of the children or teens involved. I also teach these courses at schools. You can also organise your own group -at least 5 people are needed to do a group course, maximum 20 people. Please enquire for a quote for these group/school courses. Natasha teaches both men and women however the fact she is a female trainer is helpful for some ladies e.g. traditional Muslims who may prefer a female trainer -also others who prefer a female-only environment/coach. (We can run all-female group courses if you have a group). We can also provide you with other trainers, for example male-trainers, if preferred. ​(If calling from abroad: 00 447507 829 341). Skype & FaceTime are options (please arrange a video-call appointment via text/email/etc). If you don’t get through calling please text or email. ONLINE COACHING for clients worldwide (using Skype and any other video-call platforms like FaceTime). Travel worldwide to deliver courses. (See 'Locations' webpage for more detail).